Any of you that follow us on Social Media know that we are no strangers to Walt Disney World vacations in Orlando, FL. We must drive up at least every other month. Little did we know that we were driving right by one of the most beautiful destinations that Florida has to offer - BOK Tower Gardens. This hidden gem was the location selected by Jennifer and Jerry for their engagement session and we are forever grateful to have been introduced to it. It was simply beautiful and the perfect backdrop to showcase the love between these two. Please take a moment and read about Jennifer and Jerry's love story and how he got her to say "YES!" 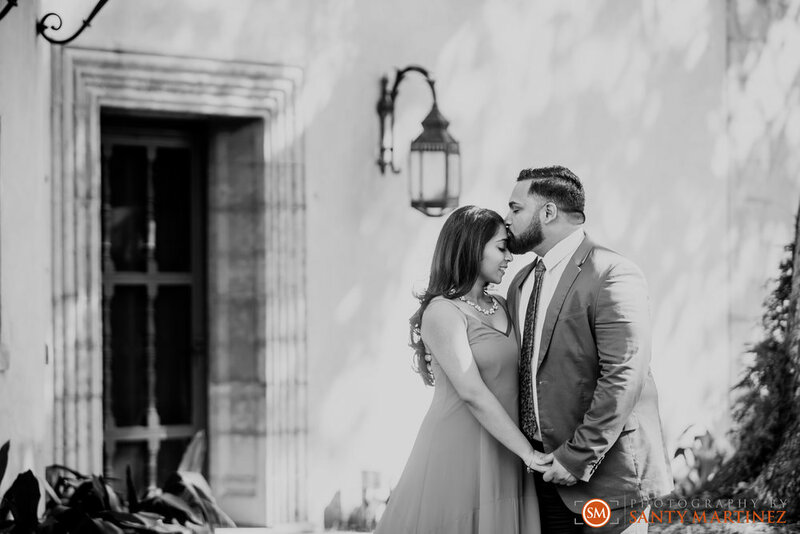 We hope you enjoy this sample from their engagement session at the BOK Tower Gardens in Lake Wales, FL. Jennifer and Jerry have known each other for a long time because their families were both a part of South Indian cultural associations. Though they were both involved in the associations as well, they were in different friend circles, and their paths rarely crossed. Their title of acquaintances ended when Jerry randomly messaged Jennifer on Facebook while they were both in grad school. He practically begged her to add him on snapchat so he could show her this grandiose dinner he was cooking for himself. Everyone who knows Jennifer, knows she is a sucker for food, so she accepted his strange offer, and so their story began. Last year, Jerry told Jennifer that he had a work conference in Atlanta for Labor Day weekend. He has many of these dental conferences throughout the year so she did not question it much, even though she suspected a proposal was probably in the works. Jennifer and her girlfriends then decided that they should do something fun that weekend and planned a "girls trip" to Miami. She always told Jerry that she wanted to wear something nice for the proposal and not look like a bum. He told her to get a dress and would constantly taunt her that she should bring the dress wherever she goes because at any time, place or moment he would propose. Jennifer did not heed his advice and decided to not pack the dress she wanted to wear to their proposal on her trip to Miami with her friends, because she was so convinced that there was no chance he would be there. He even sent her a screenshot of his flight itinerary to Atlanta! So Jennifer and her girls set off on their trip to Miami. They booked a hotel in Brickell, got their nails done, ate at a fancy restaurants, went out and had a blast. She even got a snapchat from Jerry with the Atlanta filter during the trip... (He had his cousin log onto his snapchat from Atlanta, and send her a snap... clever...) On the second day of the girls' trip, they magically got the room upgraded at the hotel to the penthouse suite. She should have known then that it was all part of Jerry's plan, but the hotel told them that because they messed up their room the night before, it was a complimentary upgrade. Who was she to question the hotel manager... she gladly accepted! That evening Jennifer and her girls decided to go out to dinner at the Rusty Pelican in Key Biscayne. Her friends decided that before they go to the restaurant they should take photos by the lighthouse in Key Biscayne. Jennifer should have known by now because who does that, right?? But if you know her friends you would not think twice. So they all got ready and headed over to the lighthouse to take photos. While they were walking there Jennifer's friend got a signal from Jerry that he needed more time and pretended to sprain her ankle. The entire time Jennifer was lecturing to her friends on "this is why it is a bad idea to go to the beach in high heels", urging them that she would leave and just head to the restaurant. Miraculously in minutes time, her friend's ankle heeled and they made their way to the light house. That's when Jennifer first saw signs with cute sayings all along the pathway, and Jerry at the end. He managed to surprise the girl who swears she cannot be surprised, and got down on one knee and proposed. After he proposed they were both greeted by their parents, siblings and closest friends, and had a wonderful party at the penthouse suite. All in all, there was no way it could have been more perfect!